It was hard not to feel smug as I packed my bikinis for the Maldives in mid-January, it was a place I had always dreamed of visiting and couldn’t wait to arrive and be able to be outside without having to wear five layers of clothes. NIYAMA was our first stop, so after landing in Male we were swiftly transferred to the seaplane terminal and NIYAMA’s private lounge. This boasts everything you’d expect from a top first class airline lounge – marble showers stocked with REN products, an extensive drinks list and wonderful massages. Just what you need after a long international flight. 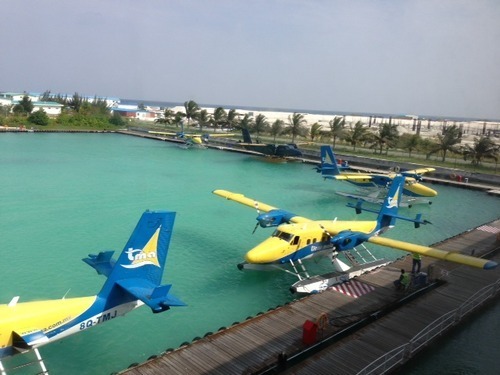 A 1 hour seaplane flight later we arrived at NIYAMA. Our welcome was heart-warming, our room was huge (the bathroom was as big as the bedroom and I love bathrooms, so this combined with the private pool and jacuzzi meant I instantly decided that I never wanted to leave) and our first dinner at Tribal was incredible. 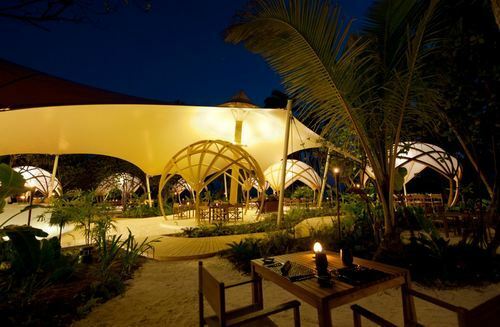 Descried as ‘modern campfire dining’, Tribal is African inspired and boasts sand floors, tiki torches, delicious cocktails and wonderful food. 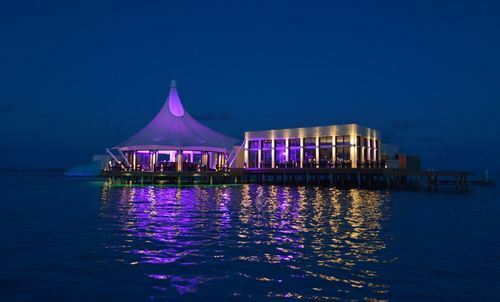 Edge is another ‘not to be missed’ dining experience – it is situated 500m offshore and is only accessible by boat. We spent a whole evening there, arriving on the boat to have cocktails watching the sun go down and then having a wonderful dinner at the Edge restaurant – I would highly recommend the seafood platter – and don’t miss dessert! Then rounding off the evening with post dinner drinks at Subsix, the world’s first underwater club, where you can watch the angel fish swim by as your sip your appletini. Whilst at NIYAMA make sure you indulge at the LIME spa. It is shrouded by palm trees and built within the jungle, with powder white sand footpaths leading to your treatment room. The rooms have huge windows overlooking the turquoise sea, there is a ‘music menu’ so you can decide exactly what you want to listen to and the therapists are wonderful, focusing on any ailments and ensuring you completely zone out……bliss. 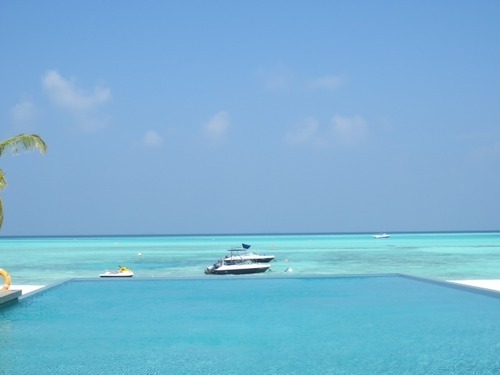 Niyama is perfect for those looking for a romantic retreat, for those wanting to fully zone out in paradise or those traveling with children. It boasts a wonderful activity program for little ones – including cookery classes and marine biology lessons, a games room, popcorn machines in every room and free Haagen Dazs in the bedrooms (a lovely treat for adults too! ).